The Trojan horse is one of the popular choices for cyber criminals. It tricks the endpoint users into downloading or opening the Trojan horse without realizing it's a threat to their cyber security. Only a few people can recognize a Trojan at first glance. As it disguises itself as a legitimate file or program that you actually want to be on your endpoint. This Trojan can start up the Denial of Service (DoS) attacks. Not only it can affect endpoints, but also websites. By sending multiple requests – from your computer and several other infected computers – the attack can overload the target address which leads to a denial of service. Trojan-FakeAV programs copies the activity of antivirus software. They are created to extort money from you. In return, they'll remove the detection and threat removal. Even though, the threats that they report are don't actually exist. If you're into gaming, you know that online gaming can also garner loads of cash. Cyber criminals also crafted this Trojan virus which steals user account information from online gamers. This Trojan can change data on your endpoint. This can lead to endpoint malfunction. The cyber criminal will demand a ransom. They'll only replace your computer’s performance or unblock your data, after you have paid them. This robs email addresses from your endpoint. An effective antivirus can alert you when there's a suspicious file on your endpoint. You can start using free branded antivirus offered in the Internet. A Trojan can also take a form of an antivirus, so trusting a branded antivirus can also keep you away from the danger. What's the use of antivirus when it's outdated? Update them when the updates are ready. It'll upgrade the software for better virus mitigation. These spread the danger among the community of Internet users. Malicious websites mostly have pop-up messages that can trick you. Better stay out of trouble. When you receive an email from an unknown sender, you can just ignore them and delete them. Trojans also take the form of an email attachments. Confuse your enemies. Your difficult, creative passwords can save you from a big mess. A firewall monitors and controls incoming and outgoing network traffic on a standardized security rules. This another protection for your own good. Trojan horse viruses can act various preset tasks by a cyber criminal. 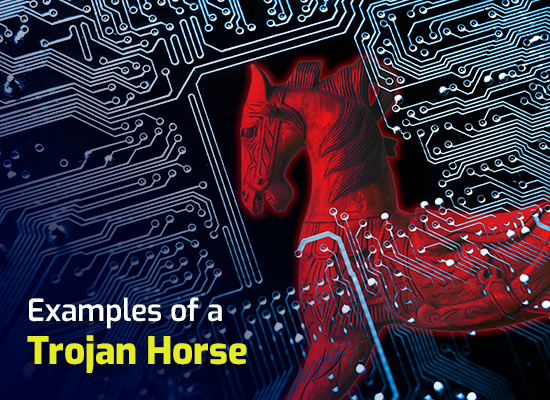 It's better to know which Trojan horse virus you might encounter to prepare a security plan. Never cyber criminals take advantage of the things you worked hard for.